The ABLe Change Framework provides a number of strategies and tools to help communities achieve sustainable change around issues affecting children, youth and families. 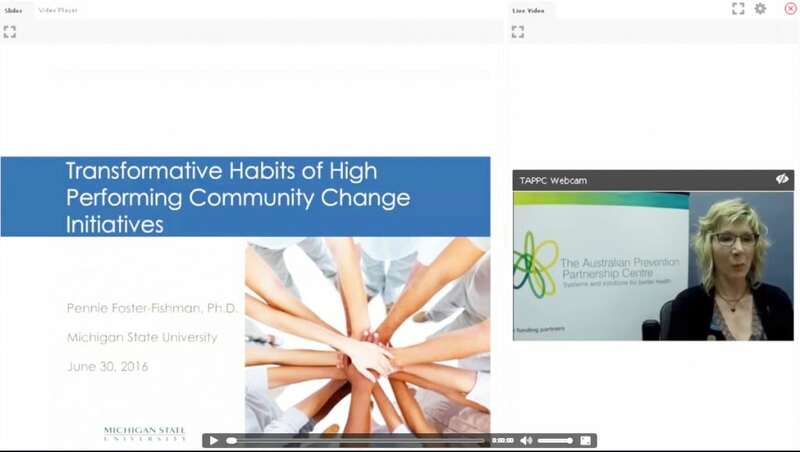 The webinar provides a guide on how to use the framework in your daily practice. 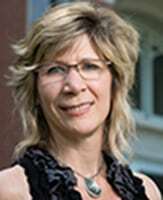 Pennie Foster-Fishman is a professor in the Department of Psychology and a Senior Outreach Fellow in University Outreach and Engagement at Michigan State University. She received her PhD in organisational/community psychology from the University of Illinois at Chicago. Her research interests primarily emphasise systems change, particularly how organisational, inter-organisational and community and state systems can improve to better meet the needs of children, youth and families. She has investigated human service delivery reform, multiple stakeholder collaboration, comprehensive community initiatives, community organising, and resident empowerment as vehicles for systems change. Professor Foster-Fishman has also worked with a variety of public sector agencies, not-for-profit organisations, and community and statewide coalitions and institutions, aiming to improve their systems change efforts. She has conducted process and outcome evaluations of systems change efforts, comprehensive community initiatives and coalitions.